On the Next All This Jazz -- on St. Patrick's Day -- Great "Green" Tunes! Tune in for the next broadcast of All This Jazz, starting at 9pm on Saturday the 17th, right here on KWGS-FM / Public Radio Tulsa. It'll be three solid hours of can't-miss modern jazz -- all of it introduced, contextualized, and lovingly selected by an actual person (i.e., not an algorithm)! 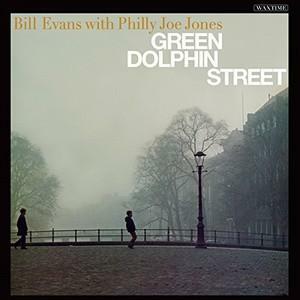 And in the third and theme-driven hour of our show -- on this St. Patrick's Day -- we'll listen to several notable "green" songs from jazz greats past and present: "On Green Dolphin Street" and "Blue in Green" and so forth. And elsewhere in our program, we'll dig the music of Al Cohn, Kurt Elling, Eliane Elias, Medeski Martin & Wood, and Aaron Goldberg, among others. Join us, jazz buffs! Every Saturday night, both online and over the air, we deliver both recent and classic jazz -- across a wide range of styles. Indeed, All This Jazz is delighted by modern (and post-modern!) jazz in its many forms, and we love sharing the same with our listeners. Also, note that ATJ playlist information can be found here, at the bottom of the page...and that we maintain a Facebook page for our show. Thank you for listening.